Relay For Life is an event that was established in The United States in 1985 by Dr Gordy Klatt. He was a colorectal surgeon who wanted to increase cancer awareness while raising money for his local cancer charity. He managed to raise US$27,000 and circulated a running track in Washington for 24 hours. This act not only sparked the start of Relay For Life, but also demonstrated the power that one determined individual has for the benefit of others. 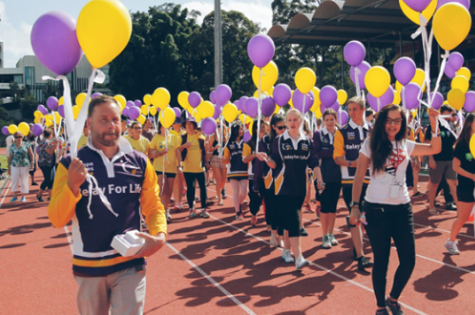 Last year, 80,000 people in Australia took part in Relay For Life, with millions more taking part all over the world. This event, and others like it, play an important role in disease awareness and management, and provide opportunities for those suffering to find support. Fundraising is often a central theme surrounding events such as Relay For Life, and for good reason. 61,000 Australians have been saved by improvements in screening, treatment and prevention of cancer in the last 20 years. These developments cost money, and fundraising provides an opportunity for willing volunteers to contribute to research that could save even more lives in the future. In addition to research, events like Relay for Life fundraise to support transport of cancer patients to treatment, accomodation services and education. While fundraising is an extremely important factor for events such as Relay for Life, there are other things to consider. The simple fact is that events such as this heightens cancer awareness in local communities. Awareness is crucial for both the implementation of effective support systems for those suffering from cancer, and a drive towards early detection. Relay for Life has certain activities that are designed to honour cancer survivors and their carers. This is great because it celebrates the victory that cancer survivors have achieved, together celebrating the carers who helped them get there. There is also an opportunity for loved ones to honour those who have lost the battle to cancer, showing that no-one is alone in their journey. Alongside showing support, events like Relay for Life can assist with early detection and prevention of cancers. These events allow people to start talking about cancer, which increases the education in local communities. Furthermore, it normalises these kind of talks, allowing people to feel more comfortable coming forward with their issues or concerns. There are many ways that you can get involved in your local Relay for Life event. You can participate, volunteer or simply make a donation. As a participant, you will join a team with the aim of walking (or running) around a track for 24 hours just as Dr Gordy Klatt did in 1985. Not all team members must walk at the same time, and it is a great idea to take it in turns. The event is so much more than this challenge however, and also include an opening and closing ceremony, the Lap of Honour for cancer survivors and carers and more activities throughout the day. As the sun sets, the Candlelight Ceremony occurs, which serves to honour those lost to cancer. Following this the last lap draws near, and participants and guests of honour alike take part. Participants walk in one direction, while the survivors and carers walk the other direction. High fives are shared as they pass, and the relay comes to an end. Events like Relay to Life play an important part in the battle against not only cancer, but other diseases. More than just fundraising, these events serve to support those affected, and offer education to those lacking knowledge. If you’d like more information about this event, visit the Cancer Council website.